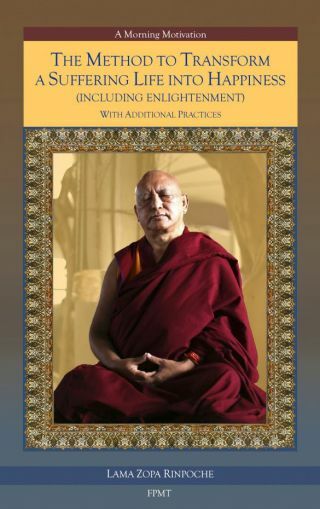 FPMT Education Services offers over thirty ebooks in EPUB and MOBI formats through the Foundation Store and through the Kindle Store, with four ebook titles added recently: A Short Practice of Green Tara; A Daily Meditation on Shakyamuni Buddha; The Method to Transform a Suffering Life into Happiness (Including Enlightenment) with Additional Practices; and The Method to Transform a Suffering Life into Happiness (Including Enlightenment) with Additional Practices: A Commentary. 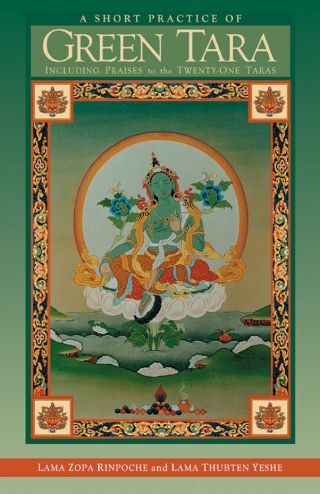 A Short Practice of Green Tara includes a short sadhana of Green Tara, commentary from Lama Zopa Rinpoche, and three versions of “Praises to the Twenty-One Taras.” While cultivating the wish that all of our endeavors ultimately benefit others, students can call upon the power of Tara to accomplish mundane and spiritual goals quickly. Whether you are looking for the right partner in a relationship or wishing to find the conditions for entering into a life of solitary retreat, the practice of Tara can help. A Daily Meditation on Shakyamuni Buddha was specifically compiled by Lama Zopa Rinpoche for beginner Buddhist practitioners. Last year, Lama Zopa Rinpoche reviewed and updated the previous edition with the help of Ven. Ailsa Cameron, a long-time editor for Lama Yeshe Wisdom Archive. 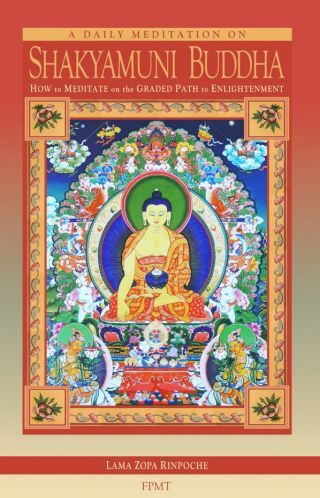 In this revised version, Rinpoche has reorganized some of the prayers and, in particular, has added an extensive explanation of the visualizations to be done while taking refuge. Drawn from Phabongkha Rinpoche’s Liberation in the Palm of Your Hand, for each of the objects of refuge—Guru, Buddha, Dharma, and Sangha—there are visualizations for purifying negative karma, increasing qualities, and coming under the guidance of that object of refuge. The Method to Transform a Suffering Life into Happiness (Including Enlightenment) with Additional Practices was specifically compiled by Lama Zopa Rinpoche as an essential daily practice for his students and anyone else wishing to start their day, and all their activities, with a perfect Dharma intention and bodhichitta motivation. In addition to the motivation called “The Method to Transform a Suffering Life into Happiness (Including Enlightenment),” the text includes a practice for blessing the speech and mantras to help students generate extensive merit and engage in deep purification throughout the day. Students will also benefit from Lama Zopa Rinpoche’s commentary on the practice. 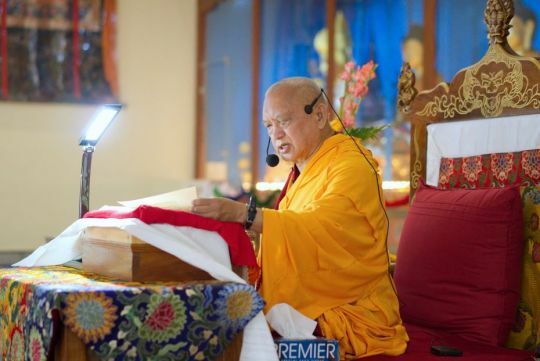 Through comprehensive study programs, practice materials, training seminars, and scholarships, FPMT Education nourishes the development of compassion, wisdom, kindness, and true happiness in individuals of all age. Lama Zopa Rinpoche, Katoomba, Blue Mountains, Australia, June 2015. Photo by Ven. Thubten Kunsang. 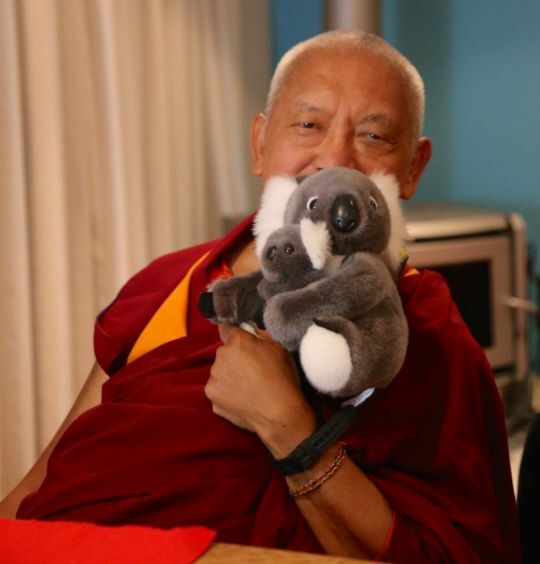 On March 30, the Australia 2018 retreat with Lama Zopa Rinpoche begins. The retreat, which takes place at the Great Stupa of Universal Compassion, will attract hundreds of FPMT students from around the world eager to receive teachings on Shantideva’s seminal text Bodhicaryavatara. 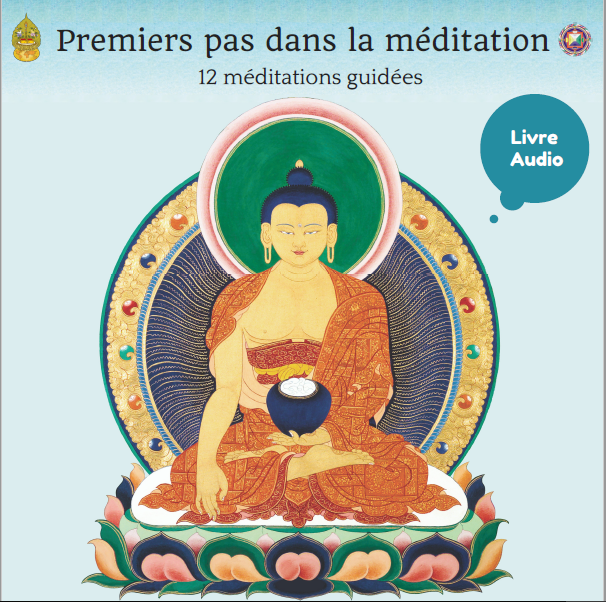 Two texts published by FPMT Education Services will be used in particular by retreatants: FPMT Retreat Prayer Book and The Method to Transform a Suffering Life into Happiness (Including Enlightenment) with Additional Practices. FPMT Retreat Prayer Book (available in ebook and PDF formats) was originally compiled in 2008 in preparation for the first Light of the Path retreat and has become a critical resource for those attending longer teaching events and retreats with Lama Zopa Rinpoche. Many students have also found it to be very useful when attending other teaching events, going on pilgrimage, and for their own personal daily practices and retreats. 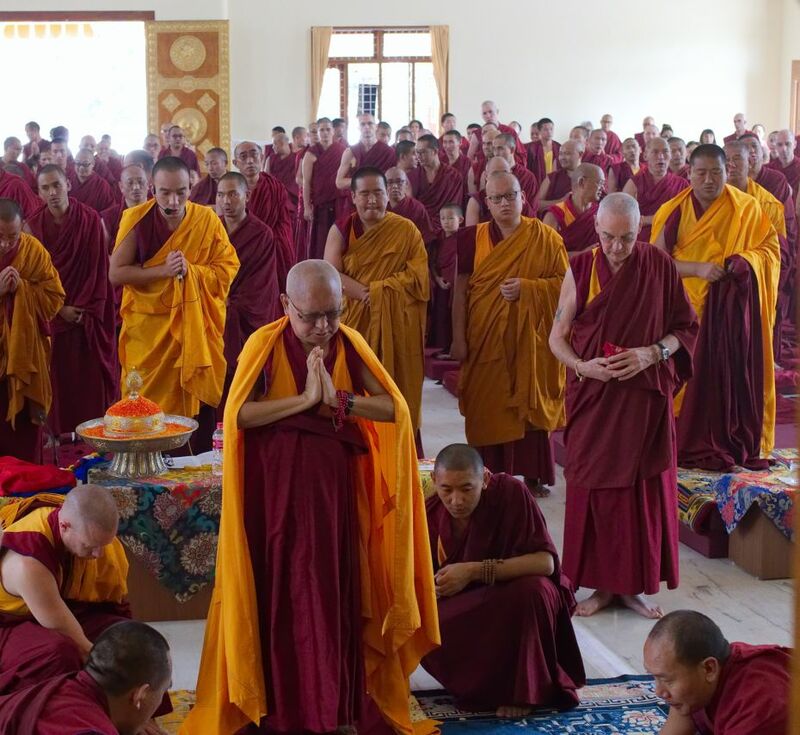 The collection is made up of prayers and practices drawn from various FPMT materials. The Method to Transform a Suffering Life into Happiness (Including Enlightenment) with Additional Practices (available in ebook and PDF formats) was specifically compiled by Lama Zopa Rinpoche as an essential daily practice for his students and anyone else wishing to start their day, and all their activities, with a perfect Dharma intention and bodhichitta motivation. In addition to the motivation called “The Method to Transform a Suffering Life into Happiness (Including Enlightenment),” the text includes a practice for blessing the speech and mantras to help students generate extensive merit and engage in deep purification throughout the day. 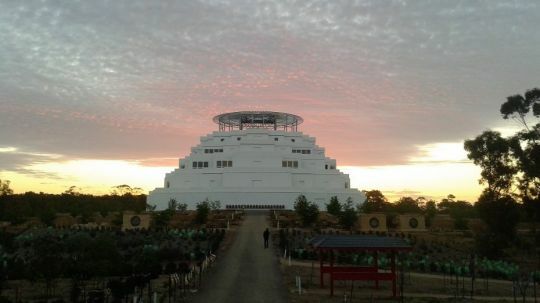 The Great Stupa of Universal Compassion, Bendigo, Victoria, Australia, October 2014. Photo by Tom Kennedy. Lama Zopa Rinpoche doing prostrations before giving Hayagriva oral transmissions, Drati Khangsten, Sera Je Monastery, Bylakuppe, India, November 2017. Photo by Ven. Lobsang Sherab. 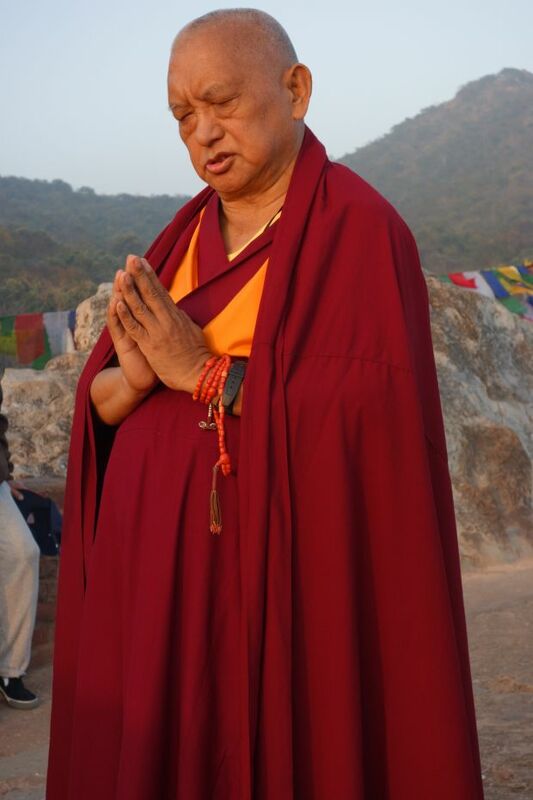 FPMT Education Services has recently published a short text with updated advice from Lama Zopa Rinpoche on how to do the practice of prostrations. In Advice for Prostrations from Lama Zopa Rinpoche, you can find holy names and mantras to recite before prostrations; advice for the practice of making prostrations to the Thirty-Five Buddhas; a meditation to use while making prostrations to the Thirty-Five Buddhas; the meaning behind “touching the four places” while prostrating, and more! Advice for Prostrations from Lama Zopa Rinpoche comes from Lama Zopa Rinpoche’s teachings at Root Institute in Bodhgaya, India, January 2017. There, Rinpoche provided some new instructions regarding prostrations, including some changes to the preliminary holy name mantras, and also dictated a new meditation. Rinpoche asked that these instructions be integrated into the FPMT booklets on the practice of prostrations. They will be included in forthcoming updated versions of the booklets The Practice of Prostrations to the Thirty-Five Confession Buddhas and The Preliminary Practice of Prostrations to the Thirty-Five Confession Buddhas, both available through the Foundation Store. During a retreat in Bendigo, Australia, 2014, Lama Zopa Rinpoche made extensive changes to many practices including Prostrations to the Thirty-Five Confession Buddhas. 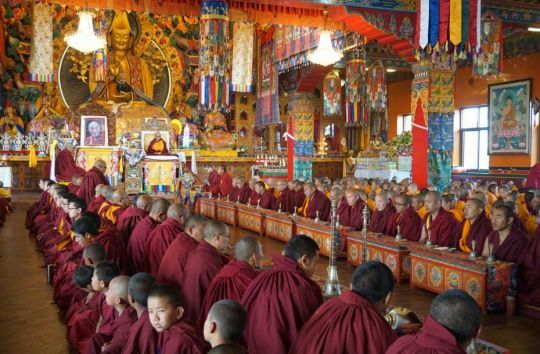 Rinpoche advised that preliminary prayers be done before doing the practice of prostrations and that at the end of the practice the “Mantra of Pure Morality” and “Prayer to Keep Pure Morality” be recited. These changes can be found in the FPMT Retreat Prayer Book, 2016 edition. Lama Chöpa puja on the morning of Losar, Kopan Monastery, Kathmandu, Nepal, February 2017. Photo by Ven. Lobsang Sherab. The Fifteen Days of Miracles—from the first day of the Tibetan new year (Losar, February 16) until the fifteenth (March 1)—commemorate the special time when Guru Shakyamuni Buddha showed miraculous powers in order to subdue the Six Founders, who lacked faith in him, and to inspire more faith in his followers. 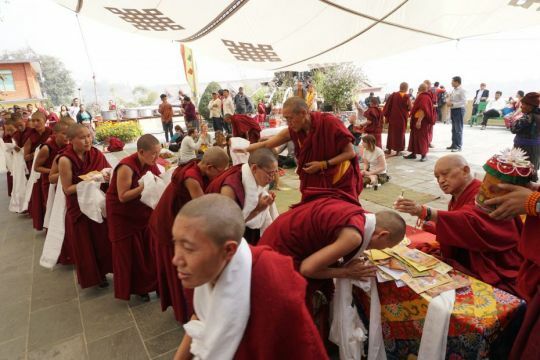 It culminates on the full moon, the fifteenth day of the lunar calendar, which is called Chotrul Duchen. 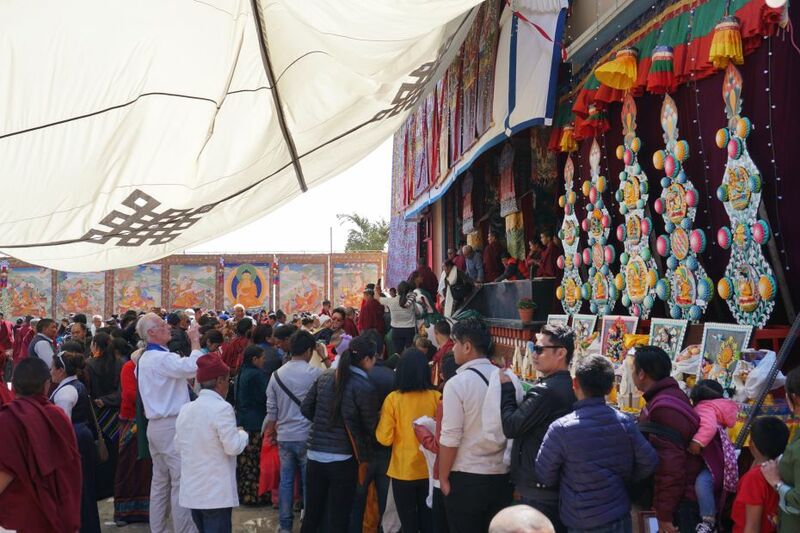 Lama Zopa Rinpoche blessed all 800 monks and nuns of Kopan Monastery and Nunnery as well as guests during lunch on Losar, Kathmandu, Nepal, February 2017. Photo by Lobsang Sherab. This year, Losar falls on February 16. The Fifteen Days of Miracles continue through Chotrul Duchen on March 1. All fifteen days are merit-multiplying days, when the merit of virtuous actions performed on these days is multiplied by 100 million, as cited by Lama Zopa Rinpoche from the vinaya text Treasure of Quotations and Logic. Students visit the public display of thangkas and butter sculptures on Chotrul Duchen, Kopan Monstery, Kathmandu, Nepal, March 2017. Photo by Ven. Lobsang Sherab. For the FPMT, Losar is a special time as it commemorates the anniversary of FPMT founder Lama Yeshe’s parinirvana at dawn of Losar in 1984. Lama Zopa Rinpoche asks students to offer extensive Lama Chöpa with tsog in honor of this anniversary. Lama Zopa Rinpoche says that one generates incredible merit by offering tsog on that occasion every year. This Losar marks thirty-four years since the passing of Lama. 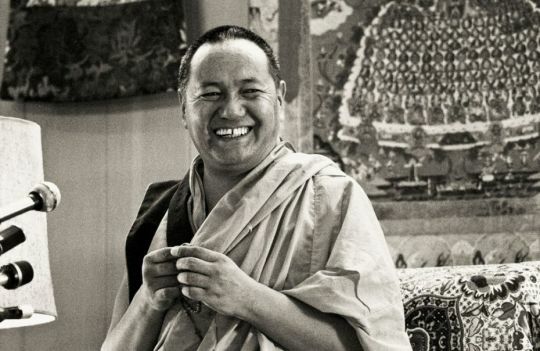 Rinpoche also recommends that students attend centers hosting annual events to introduce new students to Lama Yeshe. 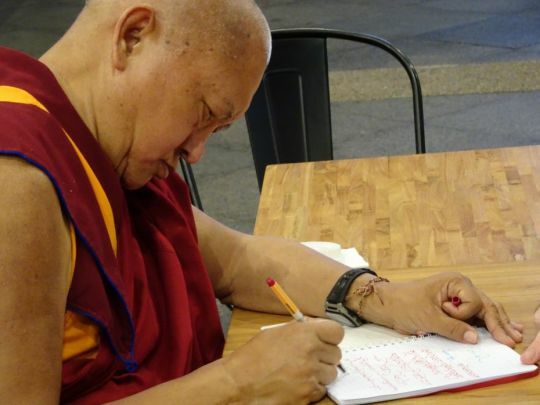 These events might include older students who knew Lama Yeshe sharing their favorite stories, watching videos of Lama teaching, or reading stories about Lama. Lama Yeshe, Yucca Valley, California, US, 1977. Photo courtesy of Lama Yeshe Wisdom Archive. You can find Rinpoche’s advice for the Fifteen Days of Miracles collected here. Advice for merit-multiplying days in general can be found here. If you decide to recite the Sutra of Golden Light on these special days, we invite you to report your recitations on the Sutra of Golden Light reporting page. Please keep in mind: According to the late Ven. Choden Rinpoche, one of Lama Zopa Rinpoche’s teachers, observation of auspicious days should be according to the date in India, not the date in one’s home country. Therefore, when Lama Zopa Rinpoche is not in India, Rinpoche celebrates merit-multiplying days and other auspicious dates according to the time in India.